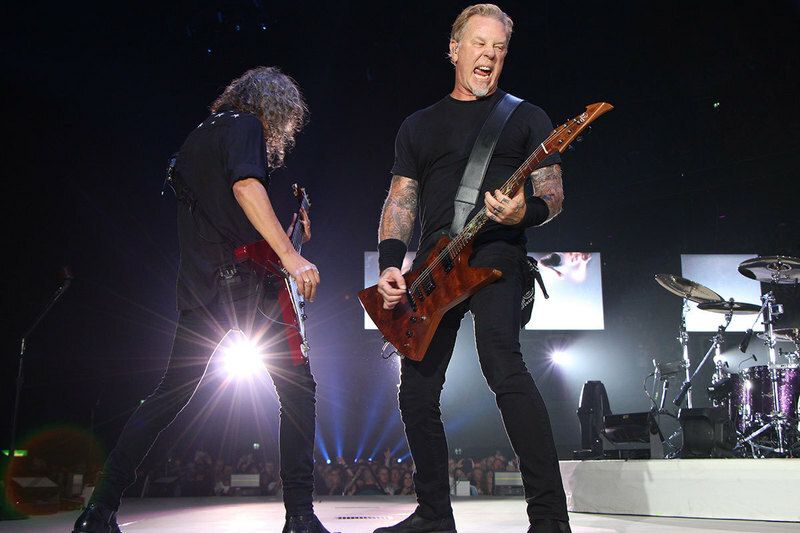 Metallica frontman James Hetfield fell into an open trap door in the stage during the band’s September 4 concert at the Ziggo Dome in Amsterdam, and video from the event has surfaced online. The rocker was wandering across the stage during a performance of the “Hardwired…To Self-Destruct” track, "Now That We're Dead", when he walked into a newly-opened hole in the stage floor from where one of four rectangular percussion tables would soon appear during the song. Metallica’s crew members quickly assisted Hetfield’s return to center stage as the guitarist barely missed a beat after appearing slightly shaken in the moment. "Is everybody ok?" Hefield asked the crowd after the tune. "Yes, I'm ok. My ego, not so much. But we're fine. Hurt my feelings, maybe, a little bit." The first of two gigs in Amsterdam – the second is set for September 6 – follow the launch of the European leg of the group’s WorldWired tour in Copenhagen, Denmark on September 2. The fall arena run will wrap up with two dates in Antwerp, Belgium in early November before resuming with a spring 2018 leg next February.